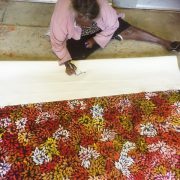 Margaret Scobie was born at Woolla Downs and is now a senior and well-respected woman in the Utopia community. 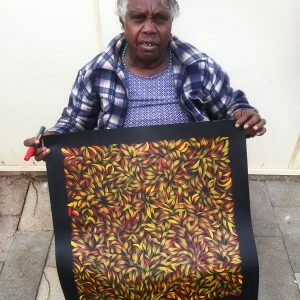 Since she commenced painting in the 1980’s Margaret has become famous for several of her own unique and different painting styles. 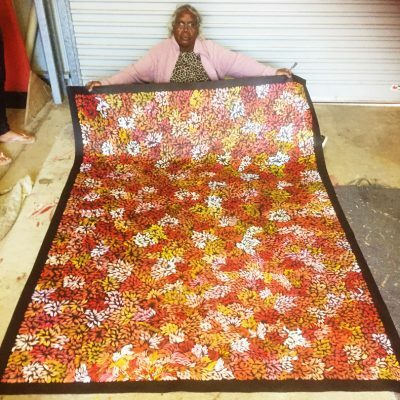 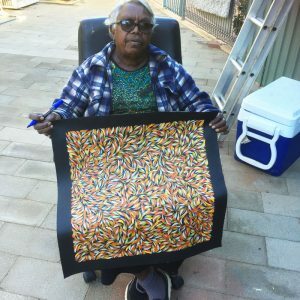 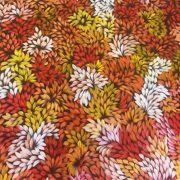 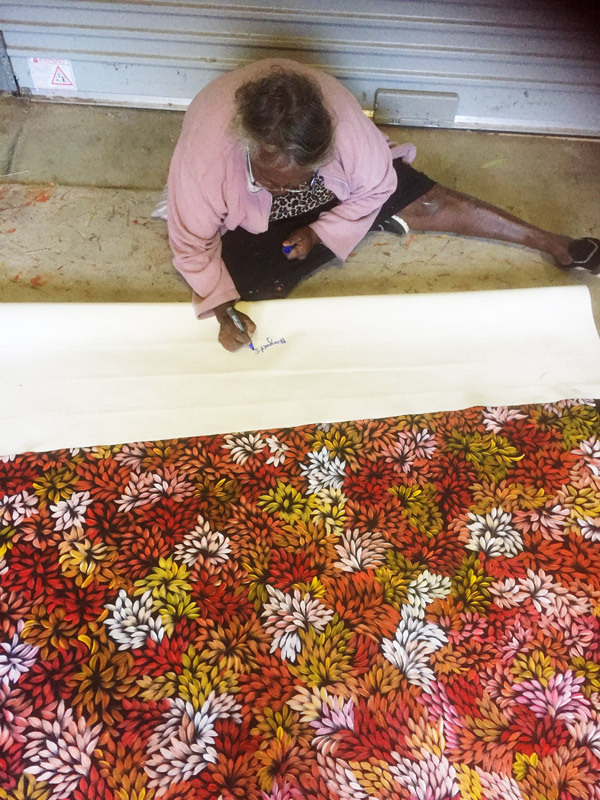 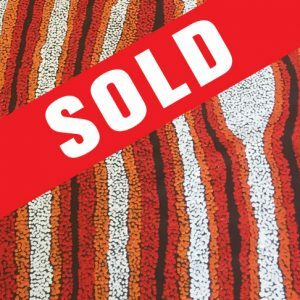 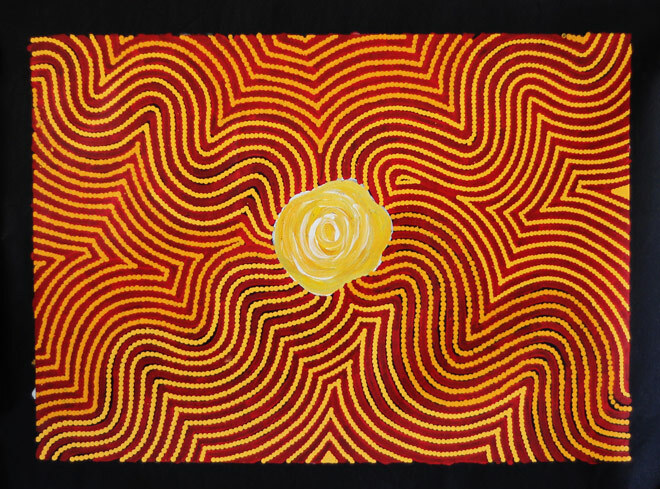 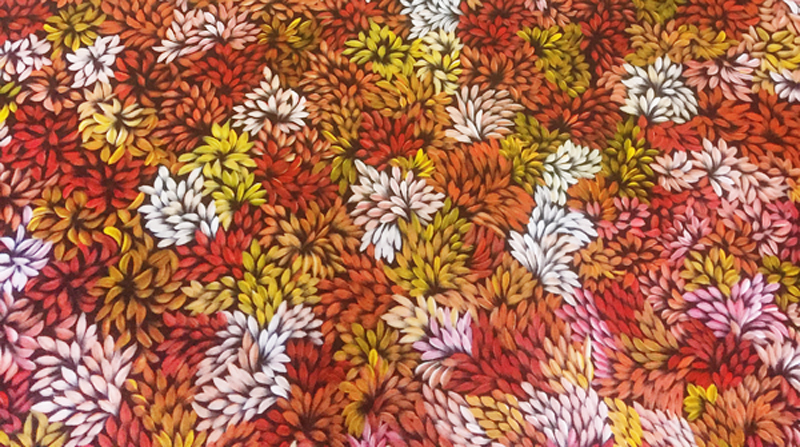 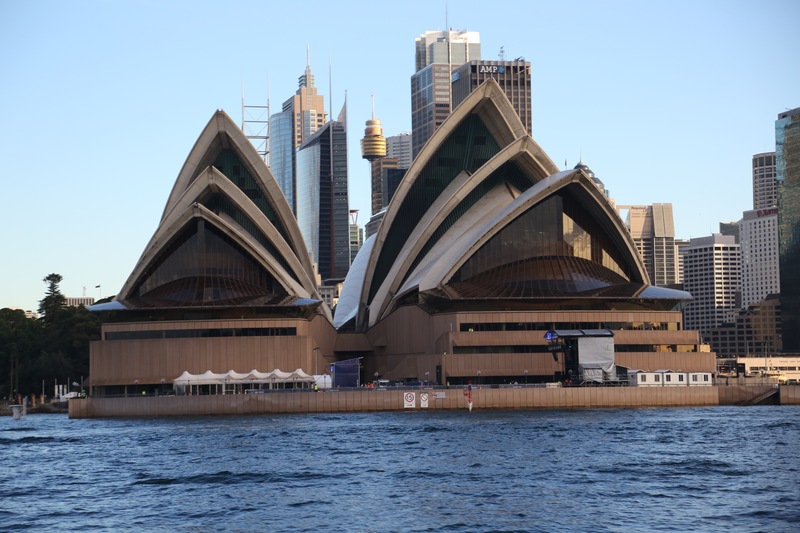 Now a major artist in her own right, Margaret comes from one of the most famous artistic families – her aunt is the late great Emily Kngwarreye [the highest priced female Aboriginal artist ever sold at auction – over $1 mil] and her cousins include the internationally renowned Kathleen and Gloria Petyarre.